There is only one international sport tournament that is able to command the attention of billions of fans around the world every four years – the FIFA World Cup. The time has come around once again for roughly half the planet (3.2 billion people tuned into the 2010 World Cup for at least a couple minutes) to watch a friendly form of international politics play out on the football field, this time around in Brazil. 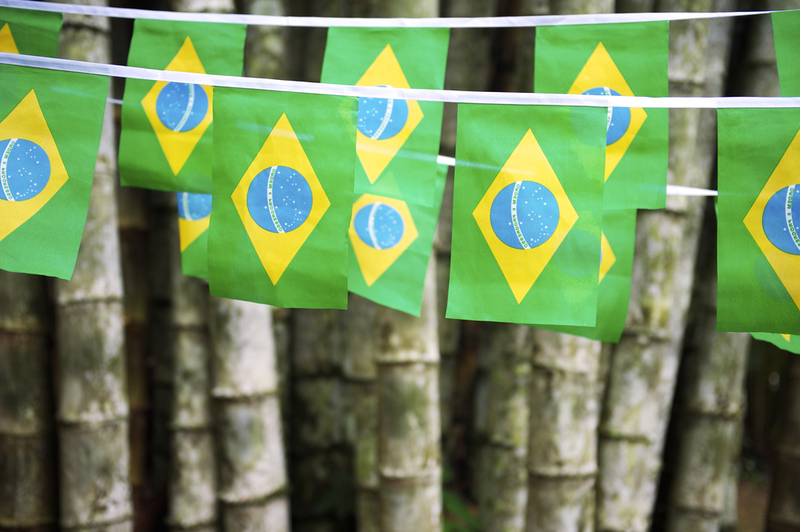 Although most of us aren’t able to travel to Brazil to watch their favorite teams play in person, there are many ways to enjoy the games from the comfort of your own town if not your own home. In fact, the World Cup is a great excuse to throw a fun party (or a few great parties!). There’s no reason to wait until your national team is playing, if it is in the tournament. Some of the best games of the tournament are often between teams you have have no affiliation with but that give their absolute best during the games for some surprising results. If you have decided to host a World Cup party this year, consider using some of these World Cup party ideas so that your party becomes as talked about in your neighborhood as the games themselves! Your first consideration for your World Cup 2014 party should be your venue. Your ideal venue is, of course, highly dependent on your budget and the number of guests you expect to host. Once you have decided on these aspects, think about whether your home is a suitable location or if you should look to local bars or clubs for a better solution. Your home can be great because you and all your friends can feel absolutely at ease throughout the party, not afraid of staying out too late to watch that last came until the end. It will also save you a significant amount of money and allow you complete control (and responsibility) over your drink and food options. On the other hand, many bars and clubs will allow you to reserve their space for a minimal fee if you guarantee or prepay a certain amount of drink and/or food consumption. A bar may be the right choice if you don’t want to worry about preparing food or drink, think about setup and cleanup, or don’t think that your current technological capabilities are quite up to parr. This is also a great option if you are thinking about hosting a big party and are hesitant about inviting so many people to your home. Weigh your options and make the right choice for your needs. Arguably the most important aspect of any World Cup party is being able to watch the game in high quality and in real time. This means you should either have a large-screened TV or projector screen setup in your venue to function as the focal point of your party. If you don’t have this in your home, you can consider renting something or simply decide to find a venue that is already prepared. In terms of other decorations, your options are limitless! 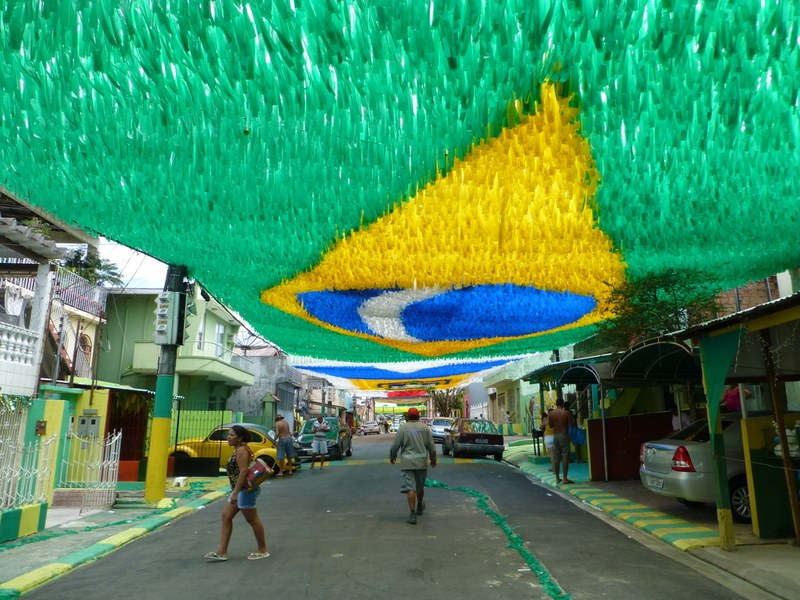 You can deck out your venue in World Cup party decorations centering around the year 2014 and the current location in Brazil. If you have a favorite team or your national team is represented, you can easily use the team’s colors as World Cup theme party ideas to decorate the venue along with photos or jerseys of the team’s best players. Get creative to make your World Cup party the talk of the town! Your food and drink offerings are very dependent on your budget and venue. A lower budget affair can just skip on the food or have a specific menu available for guests at a certain price. Drink offerings can follow the same logic. 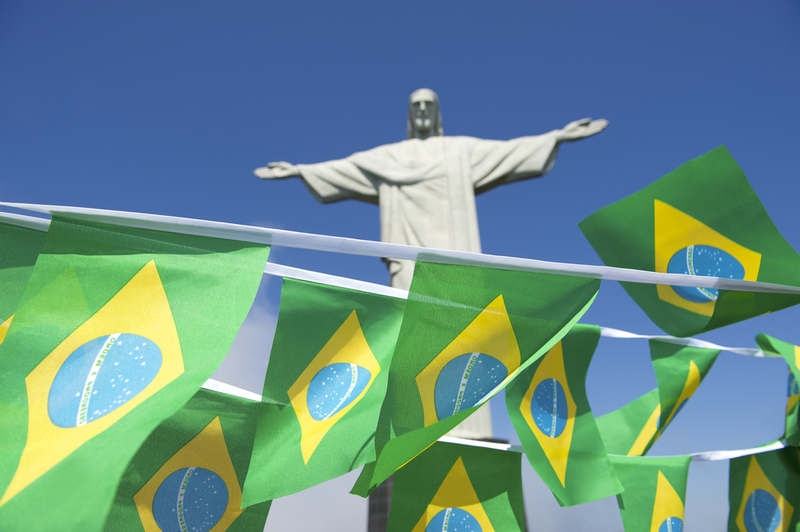 If you are looking to go all out, there are several fun options for food and drink in the theme of the 2014 Brazil World Cup that you can do. You can easily provide a Brazilian menu of easy to make and eat finger foods – think tropical fruits, meat shish kebabs, and shrimp with coconut milk. Traditional bar foods like chicken wings and nuts will still be big hits as well for the traditionals. Literally millions of barrels of beer have been drunk already in honor of the games, so make sure you have beer galore available at your party. Wine is probably unnecessary for an event like this, but offering some sort of cocktails is a good idea for the non-beer drinkers out there. If you keep your World Cup party theme in mind when choosing your easy food and drink options, they will contribute significantly to your overall atmosphere. All of these elements will combine to create a certain type of World Cup party atmosphere and World Cup party theme. Most people will look forward to a laidback World Cup party atmosphere that allows everyone to sit back and relax while yelling about the referee’s bad calls over in Brazil. Don’t worry about playing music during the games, as everyone is going to be able to want to hear the commentary of the game and scream along with the international crowd when their team scores that impossible goal. The party does not have to end with the game, however. You can easily transform your relaxed game-watching venue into a club party when the game is finished. People will already be filled with energy from the excitement of the game, making it only natural to dance it out after the players have gone home for the night. To really get the party going, consider hiring a professional DJ to spin your and your friends’ favorite tunes until the sun rises. You can even look into incorporating your World Cup party ideas into the afterparty by offering special effects like strobe lights or a laser light show, available at affordable prices when working with City Nights Disco DJs. Don’t miss this opportunity to throw a great sport’s party and make some amazing memories that can only be associated with the 2014 World Cup in Brazil. Get creative with your venue, decorations, and food and drink options and no one will be able to forget your party – at least until your next one in 2018.